When you get a brand new rug, or one straight back from a professional cleaning, you want to ensure it remains pristine for as long as possible. This means ensuring you have fantastic at home maintenance that will help keep your rug clean for as long as possible. So join the experts at Woods Rug Laundry today as we discuss the 10 best steps to maintain your rug at home between cleaning! In order to keep your rug clean it is important to regularly vacuum, once or twice a week. This prevents dirt building up in the base of the rug, prematurely wearing out the rug as the dirt grinds away at the backing and fibres. For wool rugs, it is important to only use the suction for vacuuming. Avoid using brushes, rotating bars or powerheads. In the case of wool rugs you should vacuum only a few times a month to prevent pulling out carpet fibres. Further, it is important not to vacuum fringe or tassels. These are delicate piece of material and are easily tangled by the vacuum head. At worst, they can be ripped out entirely by the suction. Fluffing the fringes of your rug by hands is all they need, anything else can damage them. A professional cleaner can appropriately clean and treat fringes with the care and delicacy they deserve. Too many people neglect to vacuum the back side of their rug. However, that is where dirt builds up the most, especially on hard flooring. And in high traffic areas the grinding of this dirt between the floor and the rug can wear away the backing of the rug, damaging it. 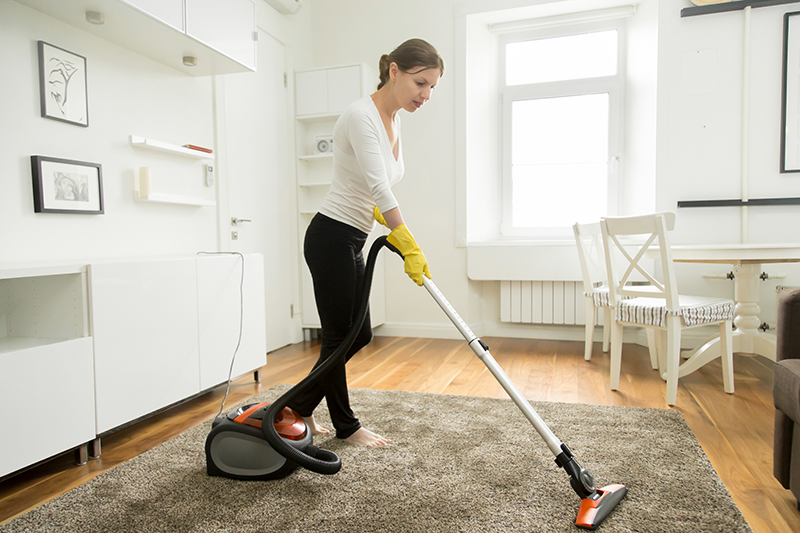 As a result, it is important to ensure you vacuum both sides of your rug and the floor underneath to make sure it is entirely clean. 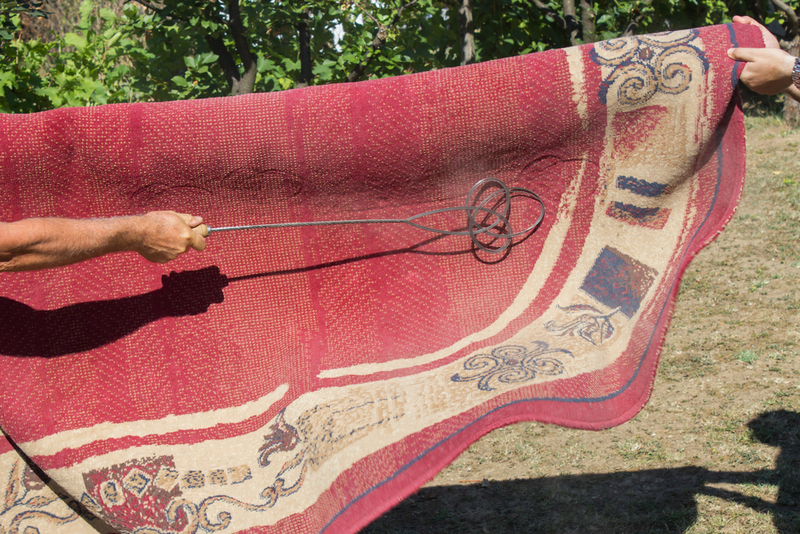 If your rug is small enough, you can also take it outside to shake it out or beat it out. 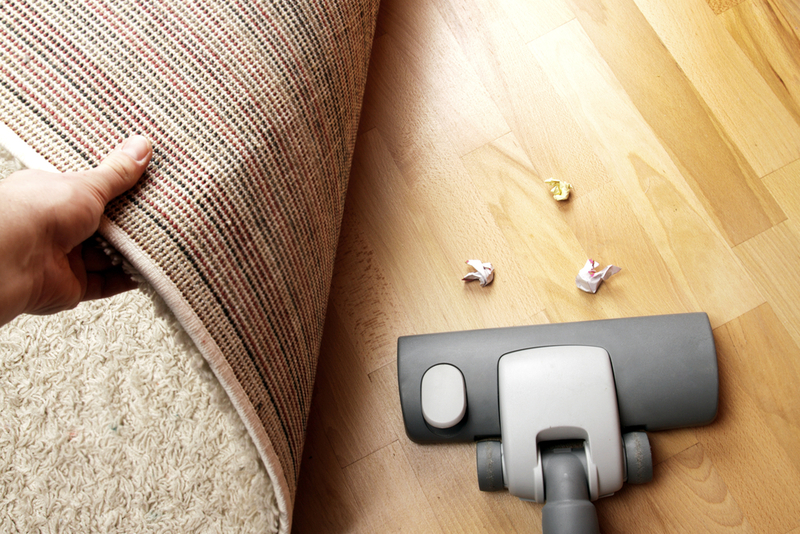 Beating the rug out vigorously allows you to remove dirt and grit before vacuuming. It also loosens up heavily packed in dirt that makes vacuuming easier. Rotating your rugs at home is very important. 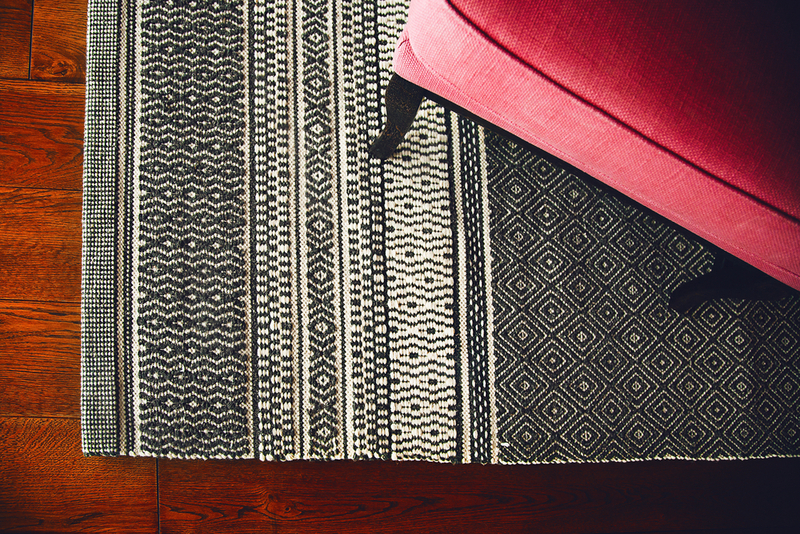 You should rotate your rugs at least every 6 and 12 months to prevent foot traffic wear. This stops your pile from becoming uneven and improves the longevity of your rug. However, in high traffic areas you should rotate your rugs more often, at least every few months, to prevent wear and tear. A rug pad or non-slip underlay can help extend the life of your rug by offering cushioning for foot traffic, especially on hard flooring. 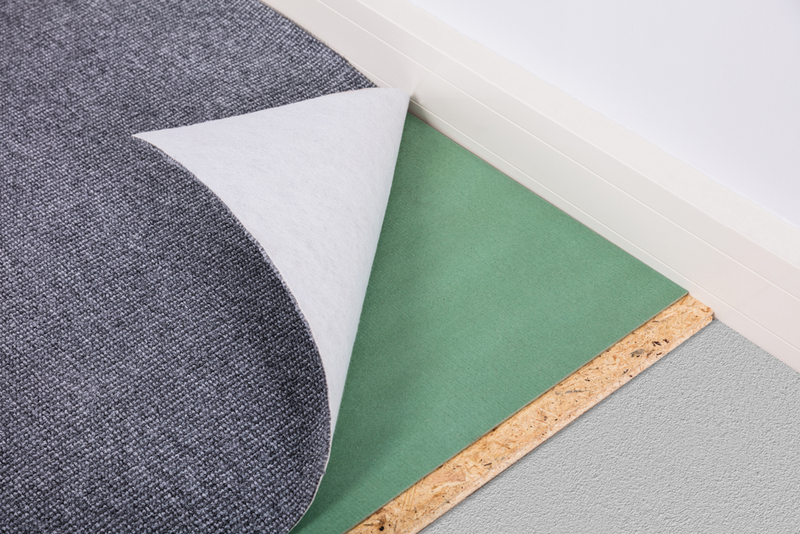 Underlay will help stop your rug from slipping, as well as create more depth underfoot and lessen the wear and tear on the rug. The thicker the underlay, the more soft and cushioned your rug will feel. Further, it will also prevent any risk of dye transfer from your rug to your flooring and vice versa. 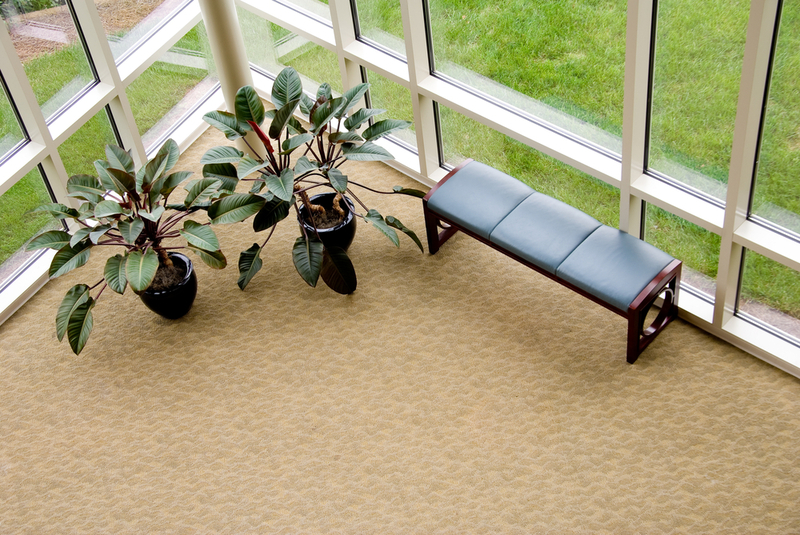 Sun exposure on your rug for extended periods can cause fading. As a result, you should ensure you keep rugs out of direct sunlight where possible. However, if you cannot prevent your rug sitting in direct sunlight, then you should ensure you rotate your rug as often as possible. This helps minimise fading, colour change and damage. 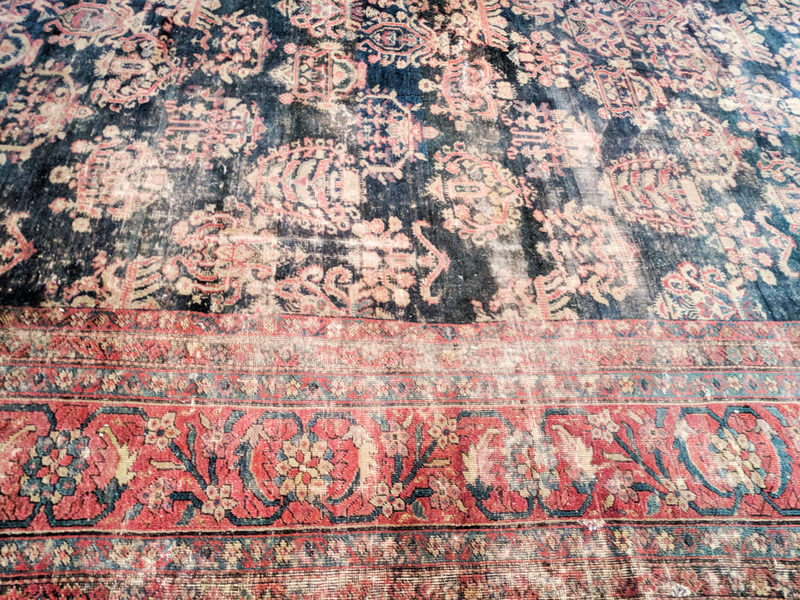 This bleaching effect from the sunshine can permanently damage your rug and it can be difficult, if not impossible, to repair. It is also more obvious on darker coloured rugs and rugs with natural fibres. If your rug is in direct sunlight every day, you should rotate your rug at least once a month. Heavy furniture can mark and flatten the pile on your rugs. This causes irreversible damage. Further some heavy and sharp edged furniture piece, or constantly moving pieces of furniture can pull your rug out of shape, making it appear less square. If your rug must have furniture rested on it, then it needs to be rotated at least once a month. However, if and when possible, you should avoid having heavy furniture resting on your rug. As careful as you might be, all pot plants will leak at one point or another. Keeping a pot plant on a rug is a terrible idea. Pot plants can cause mildew and dry rot, making your rug soggy, rot, crack and literally fall to pieces. Never place a pot plant on or near your prized rug. Spills and stains happen when you least expect them. And the last thing you want to do is spread the stain more by rubbing it further into the fibre of the rug. 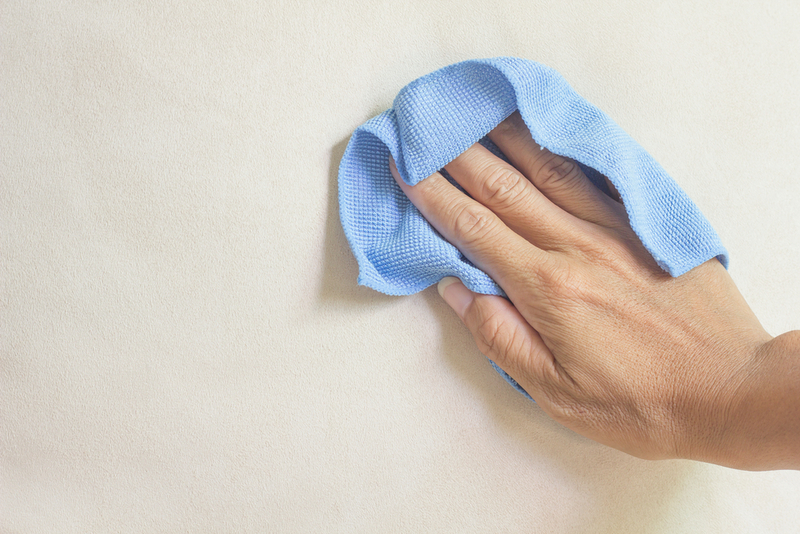 As a result, it is important to blot stains, not rub at them, when they occur. Avoid using homemade, old wives’ tales or off the shelf cleaners as these can cause the stain to set into the fibres, as well as cause dye run. Remove any solid debris and blot the excess liquid. Then book your rug in immediately for a professional cleaning. Above all it is important to have your rugs professionally cleaned at least once a year, and every 6 months for rugs in high traffic areas. Booking in with a professional company, with Woods Rug Laundry ensures your rug is in the best of hands. Contact us today for more information about our professional cleaning services.